Mason Jars are this season’s must-have item. They add rustic chic and charm to any event and this summer, our mason jars are making appearances at weddings, outdoor events and parties all across Sonoma County. Here are some of this season’s hottest style ideas that we have using at our events this summer. Cocktails – Your favorite drink will look even more attractive when served inside a mason jar. The cocktail pictured here was born to be served in a mason jar, and it taste as great as it looks. 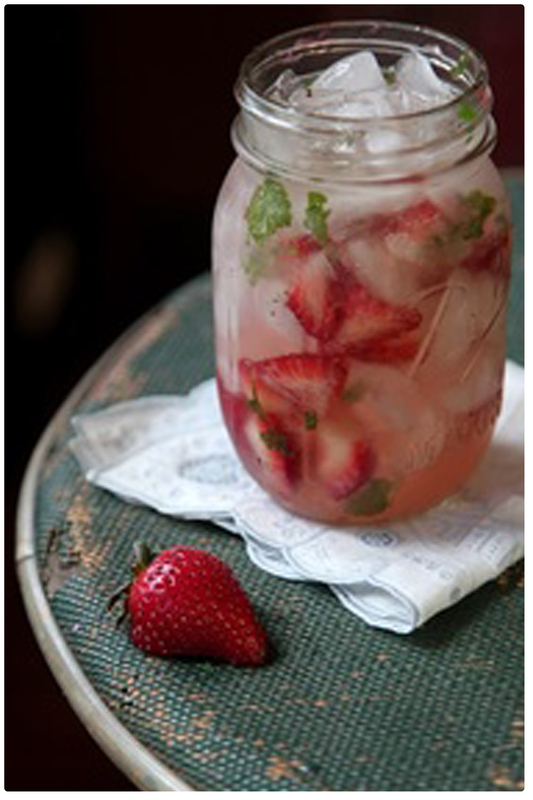 Simply cut some fresh strawberries, tear a handful of mint leaves, combine ice, strawberry lemonade and a splash of vodka together in the mason jar, mix well and serve! Perfect for a hot summer’s day party. Why not try Sangria in a mason jar as well? You can add your favorite fruits, bubbly soda, juices, and Sonoma County red wine to your Sangria and enjoy this refreshing beverage. 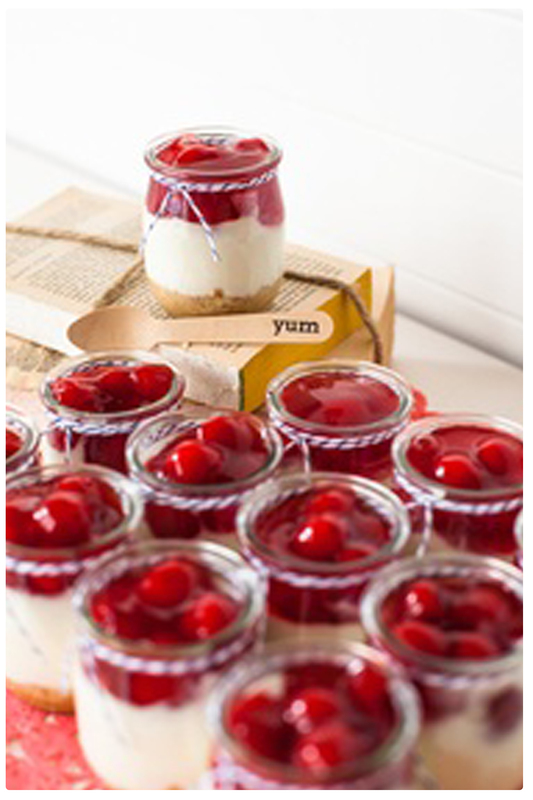 Dessert – Serve your dessert to your guests in style. Brightly colored desserts work wonderfully with a mason jar- think fresh summer fruits, whip cream, and remember to layer your desert, the results will be irresistible. 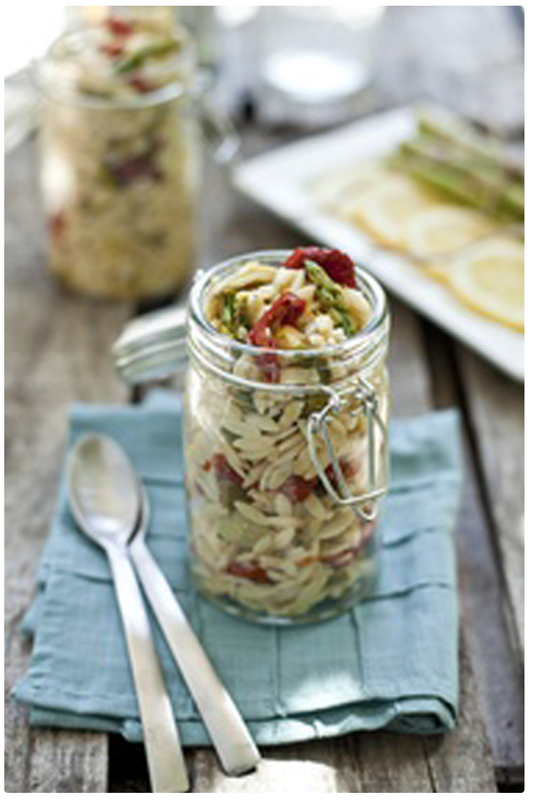 Pasta in a jar – Going to the beach or a picnic with friends? Tell them you will be bringing the lunch and pre-make your pasta and store it inside the jars. Carry them to the event in a cooler with ice and serve right then and there, no additional items needed. This works great for salads as well. 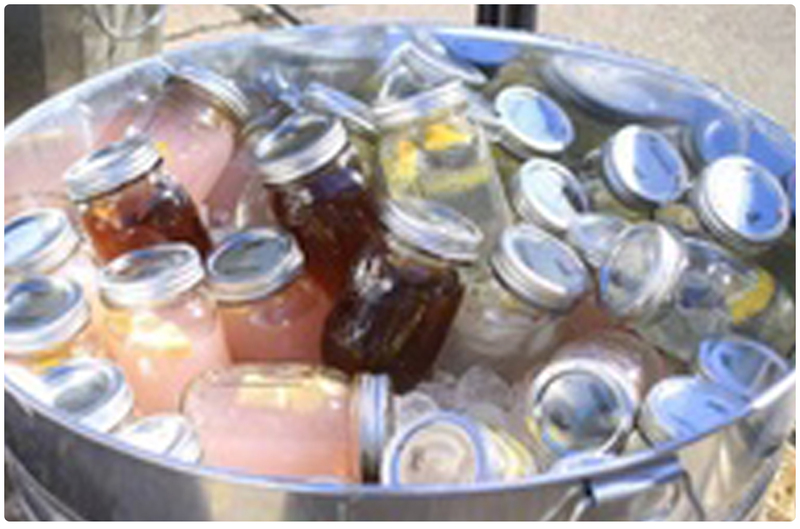 Beverages – Fill a collection of mason jars full of your favorite non-alcoholic drinks: homemade lemonade, iced tea, think simple and classic flavors. Fill our stainless steel beverage tubs full of ice and let your guests grab their favorite. Candles – The glass on mason jars are thick, so you can comfortably use a mason jar as a decorative candleholder without any concern. Use either tea lights or votives for your candles. Experiment adding colored candles to a table setting. 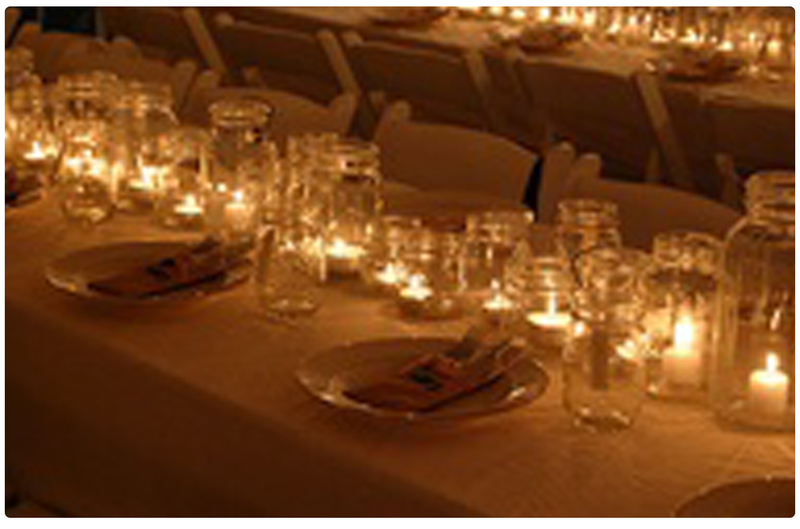 Mason jars really dazzle when they are used to illuminate a path leading to a private seating area or alter. 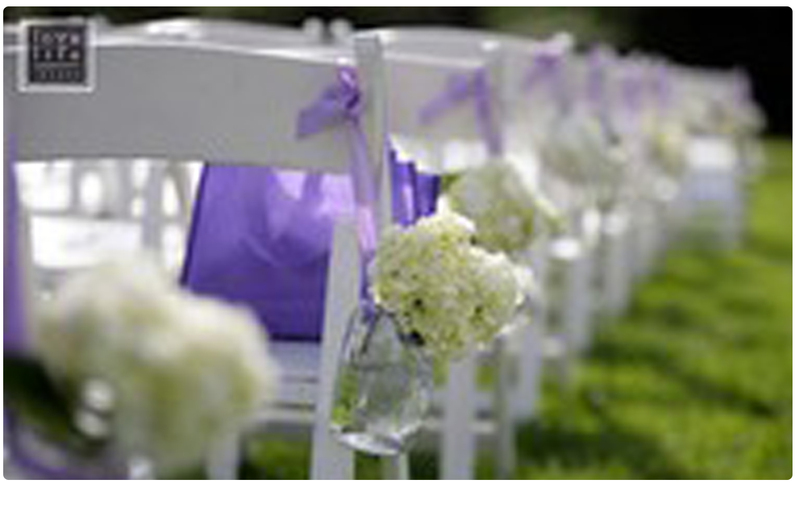 Flowers for a ceremony – Put your favorite flowers in a mason jar and hang them from the chairs down your aisle. This is very easy to make, just use raffia, rope or even wire to hang from the corner of the chair. Use your wedding color for a bow to finish off the look. 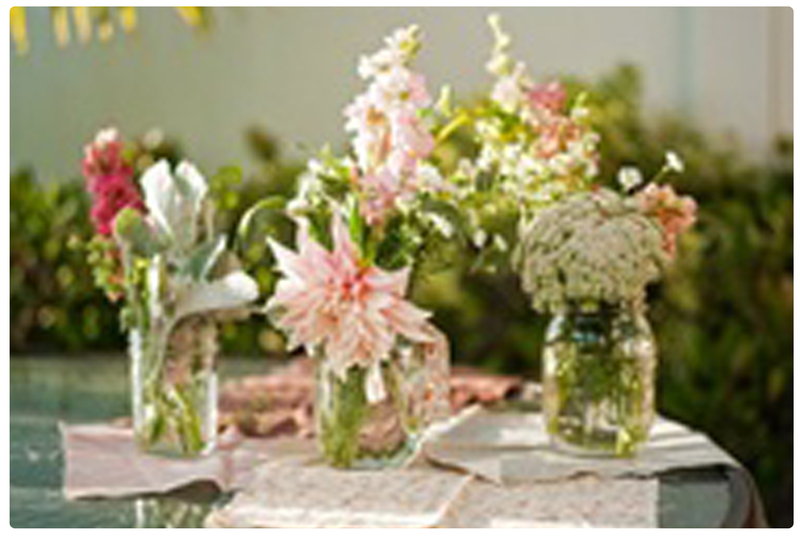 Flowers for centerpieces – Different sized vases and jars give depth and add interest to a centerpiece and mason jars are the perfectly affordable way to add cute décor and make your centerpiece POP. You could also try using food dye in the water for something extra special. We all LOVE mason jars!